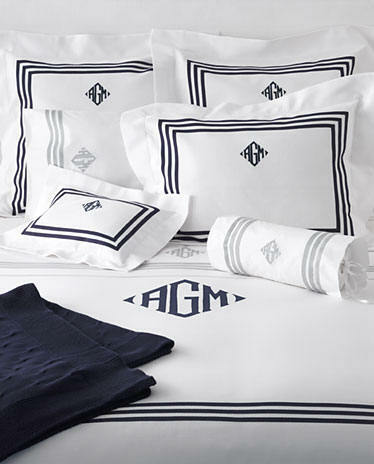 Shown with appliqué monogram. Easy care lightweight Diamond Pique bedding in white or ivory accented with three rows of an applied tape available in a range of colors. Easy care 60% Cotton/40% Polyester.